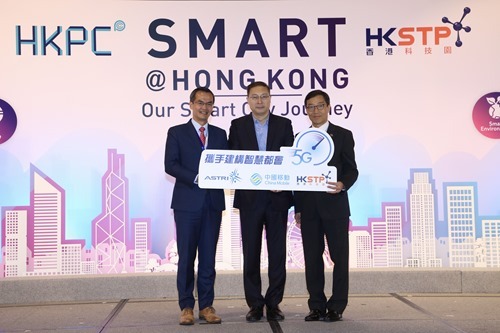 China Mobile Hong Kong, Hong Kong Applied Science and Technology Research Institute (ASTRI), and Hong Kong Science and Technology Parks Corporation (HKSTP) recently announced multiple collaborations related to 5G at the "Smart@Hong Kong: Our Smart City Journey" Conference. China Mobile Hong Kong (CMHK) and Hong Kong Applied Science and Technology Research Institute (ASTRI) will collaborate in research and development of 5G technology, autonomous vehicles, artificial intelligence, Internet of Things (IoT) data exchange, and other technologies to help accelerate Hong Kong’s development in establishing a Smart City. At the same time, CMHK is partnering with IASP member Hong Kong Science and Technology Parks Corporation (HKSTP) on various 5G technology-related projects at the park, including an autonomous vehicle trial. As one of the city’s leading mobile communications brands, CMHK has been supporting the development of Smart City technologies in Hong Kong. Through strategic cooperation with ASTRI, Hong Kong's largest applied science and technology research centre, CMHK will fund ASTRI's research and development of an edge computing platform, which will potentially overcome the inadequacies of cloud computing, while enabling even faster data processing and analysis to support ultra-low latency applications such as autonomous vehicles. 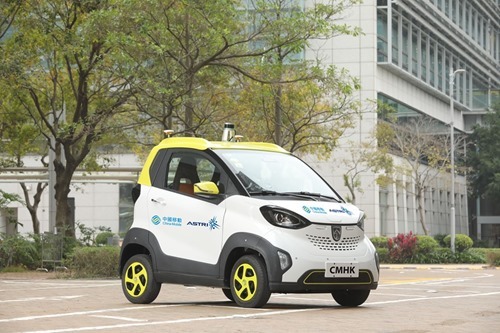 CMHK and ASTRI also plan to conduct an autonomous vehicle trial at Hong Kong Science Park, to facilitate the system’s awareness monitoring within the 5G networks and to initiate research on related technologies.